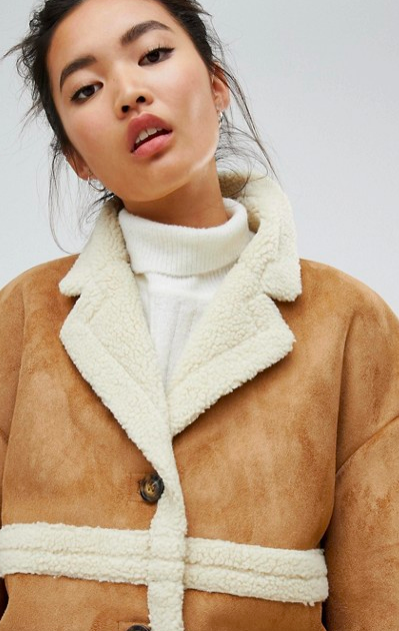 31 Winter Coats That'll Make You Say, "Let It Snow!" So that when you say, "I really can't stay," and they say, "But baby it's cold outside." you can say, "Yeah, and I have a perfectly warm winter coat so BYE." 1. A double breasted number with notch lapels that'll be a top-notch addition to your winter wardrobe. 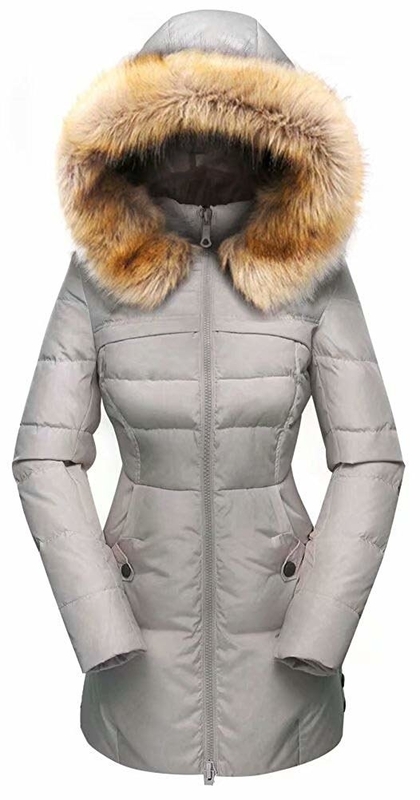 Get it from Asos for $127 (available in sizes XS–XL) or get a solid black double breasted coat from Amazon for $65.97+ (available in four colors and sizes XS–XXL). 2. A puffer coat with a quilted patchwork pattern that's gonna look ~sew~ cute on ya body. Get it from Free People for $268 (available in sizes XS–L). 3. 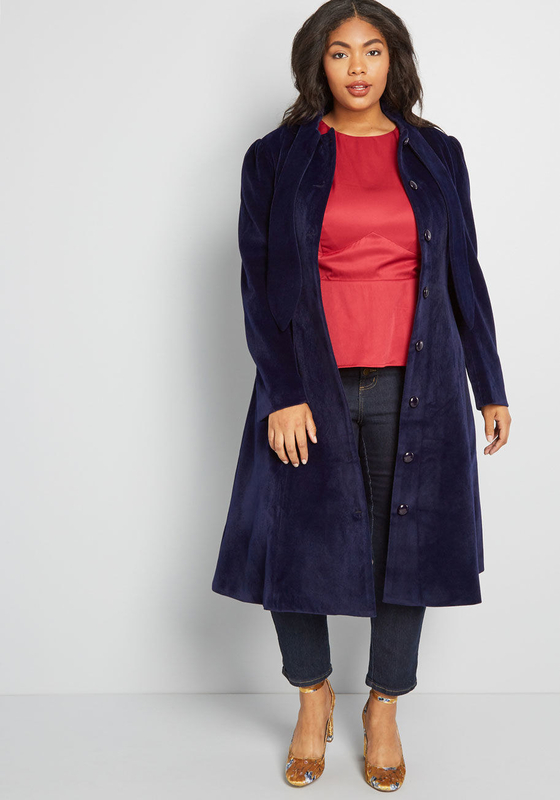 A velvet coat with a tied neckline to let you get your vogue Mary Poppins on like you're the actual Emily Blunt. Get it from ModCloth for $159 (available in sizes 8–20). 4. 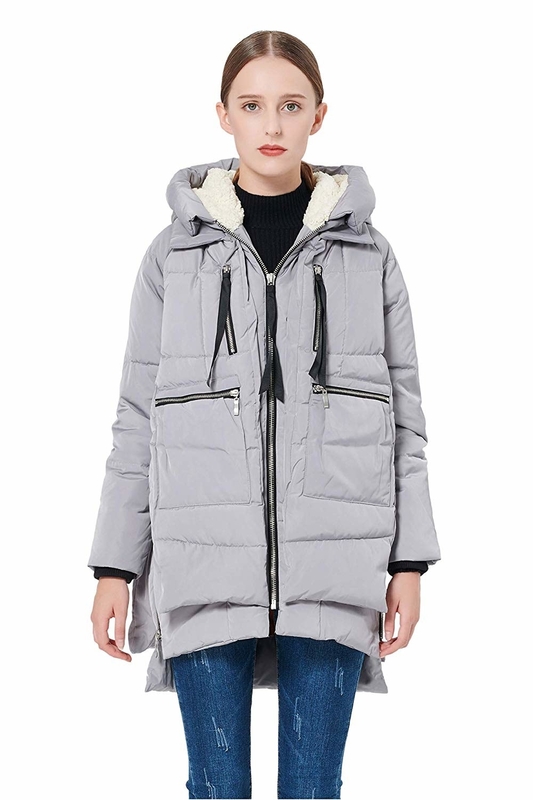 A plus-size parka that'll help you snow babies blend in with blizzards and look like literal snow angels. Get it from Amazon for $121.97+ (available in seven colors and sizes M–5X). 5. A puffer piece for anyone who would much rather be pretty in plaid than pretty in pink. Get it from Urban Outfitters for $125 (available in sizes XS–XL). 6. A classic parka with a tried-and-true design that will keep you warm all winter long, truly. Get it from Amazon for $59.52+ (available in two colors and sizes 6–14). 7. A perfect slouchy piece for anyone planning a trip to the Alps, or a trip to the grocery store. Get it from Free People for $168 (available in sizes XS–XL). 8. A faux fur number that's gonna make your friends ~green~ with envy. Get it form Boohoo for $55 (available in sizes 4–10) or get a shorter version from Amazon for $26.99+ (available in 10 colors and sizes S–3X). 9. A copper duster sure to be the gold standard of winter wear this year. 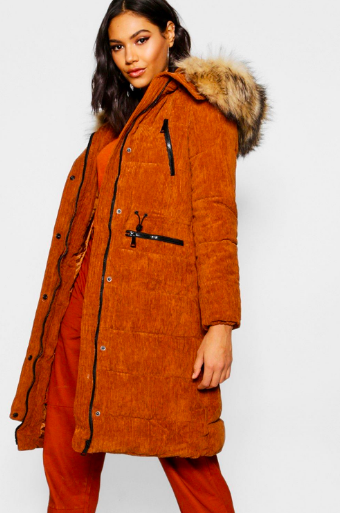 Get it from Asos for $440 (available in sizes XS–L) or get a shorter, hooded, copper coat from The North Face on Amazon for $184.23+ (available in 13 colors and sizes XS–XXL). 10. A classic button-up coat that'll make you look like someone straight out of Miracle on 34th Street (and it'll feel like a miracle when you see how warm a coat this cute keeps you). Get it from Amazon for $49.99 (available in six colors and sizes M–5X). 11. A gorgeous hooded overcoat you are never gonna get over. Get it from Amazon for $44.98+ (available in two colors and sizes M–XXL). The filler is 90% white duck down and 10% feathers. Get it from Amazon for $99.99 (available in five colors and sizes XXS–XXL). 13. A floral-inspired number so your fashion-savvy side can ~bloom~ even in the middle of winter. Get it from Anthropologie for $258 (available in sizes XS–XL). 14. A faux fur coat that is sure to make you look ~foxy~. Get it from Amazon for $39.99+ (available in sizes 2–10). 15. A plus-size red button-up for anyone who wants their coat to be as rosy as their cheeks. Get it from Hot Topic for $54.90 (available in plus sizes 0–6) or get a swing style from Amazon for $59.99+ (available in six colors and sizes S–XXL). 16. A pastel puffer — get ready to have your ego ~puffed~ up from all the compliments you're gonna get when you wear this piece. Get it from Urban Outfitters for $89 (available in three colors and sizes XS–XL). 17. 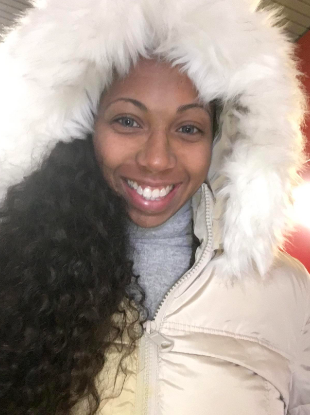 A swingy fleece coat that'll make anyone who loves winter weather be all smiles, even if your hometown isn't quite cold enough to be a snowy winter wonderland. Get it from Amazon for $33.71+ (available in six colors and sizes M–6X). 18. A color block topcoat so comfortable you won't want to wear anything else underneath it (you could probably stay plenty warm even if you didn't). Get it from J.Crew for $298 (available in sizes XXS–XXL). 19. A hooded wool blend coat with exposed pockets to protect your fingers when they are gloveless and exposed to the elements. Get it from Amazon for $28.50+ (available in eight colors and sizes S–XXL). 20. 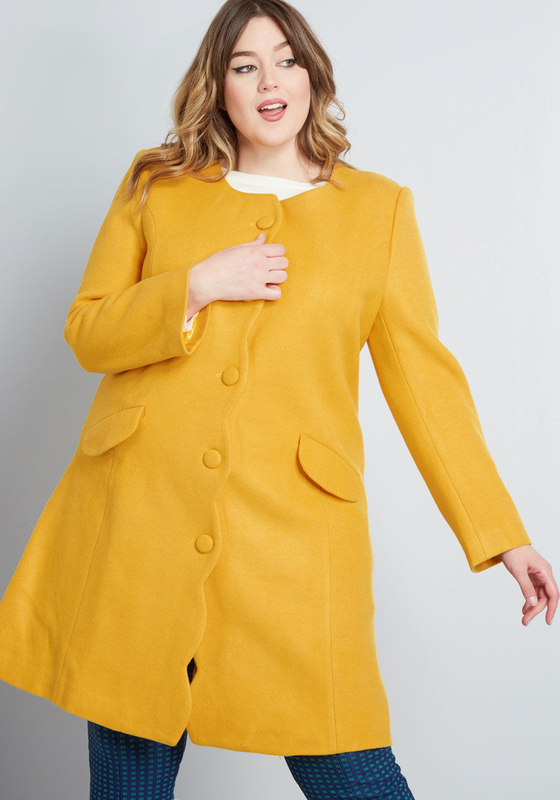 A mustard yellow, scalloped coat worth ~shelling~ out cash on so you can feast your eyes on it all winter long. Get it from ModCloth for $149 (available in sizes 6–18) or grab an equally sunny number from Amazon for $18.99+ (available in 10 colors and sizes 0–10). 21. 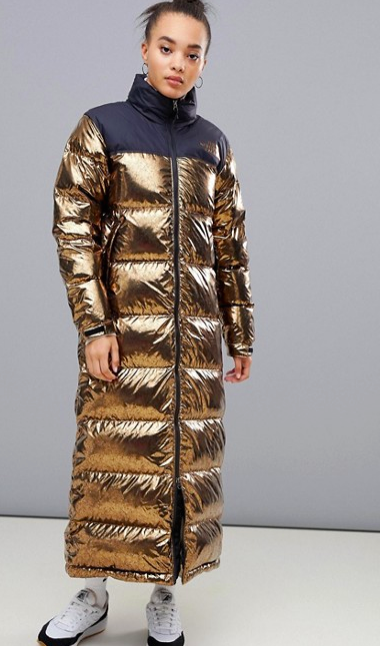 A shiny quilted puffer to be a shining star in your closet (and on your body). Get it from Amazon for $48.51 (available in two colors and sizes XS–XL). 22. A houndstooth coat that'll save the day on morning commutes when it's doggone cold outside. Get it from Asos for $190 (available in sizes 2–10). 23. A dusty blue number sure to be a dream even while you're dreaming of warm summer nights. 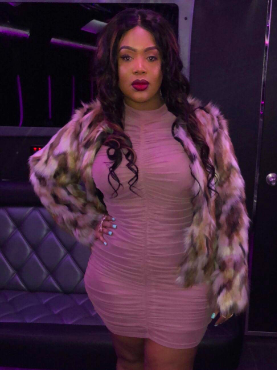 Get it from Boohoo for $55 (available in sizes 4–12) or get a similar one from Amazon for $39.99 (available in seven colors and sizes S–XXL). 24. A down coat that is both lightweight and toasty warm, for anyone who thinks life is better with a little fluff. Get it from Amazon for $89.99+ (available in seven colors and sizes XS–3X). 25. A lodge coat in Italian stadium-cloth wool for when it's time to treat yourself to a chic winter coat you can wear the rest of your life. Get it form J Crew for $350 (available in four colors and sizes 00–24). 26. 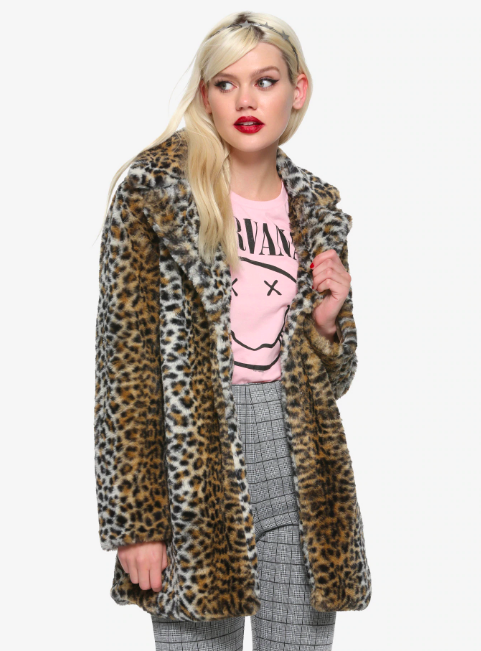 A leopard print piece, because you could lie and tell yourself you don't want this more than anything, but we're pretty sure that cat's already out of the bag. Get it from Hot Topic for $44.90 (available in sizes S–3X) or get a similar one from Amazon for $33.99+ (available in sizes 2–10). 27. A Chevron puffer you'll wanna put chevr-on again and again. Get it from Amazon for $79.99 (available in three colors and sizes 1X–3X). 28. 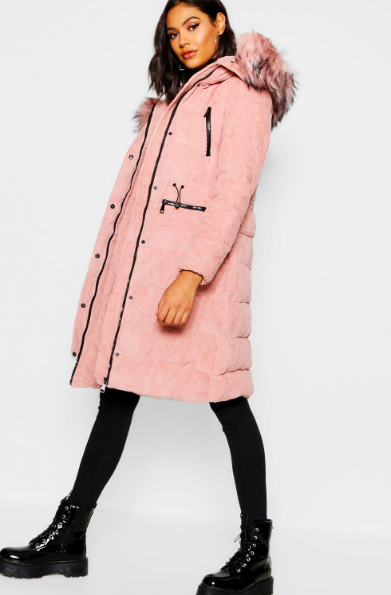 A premium pink or cord parka that'll have you covered (literally) when you need to stay seriously warm in some seriously wintery weather. Get the pink and the cord from Boohoo for $90 (available in sizes S–XL). 29. A packable parka that's lightweight and water resistant, for outdoor adventures that require a coat that doesn't take up a ton of space. Get it from Amazon for $39 (available in eight colors and sizes XS–XXL). 30. 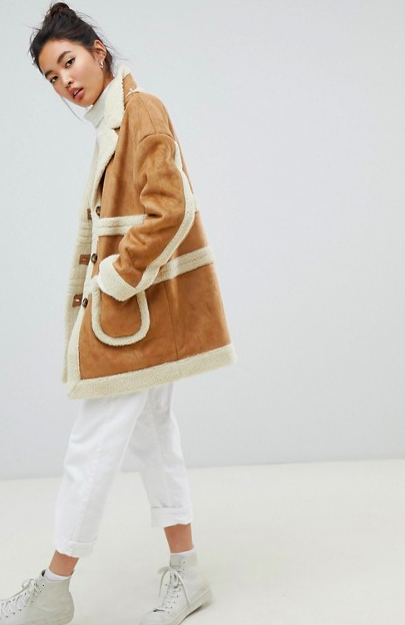 A faux shearling coat that'll make you look like someone who could have been plucked straight out of a Bob Ross painting. Because what is winter without spending time outside with some happy little trees? Get it from Asos for $151 (available in sizes 4–12). 31. And finally, a checkered coat you can check off the list of things you need from Santa this year. Get it from Anthropologie for $198 (available in sizes XS–XL). 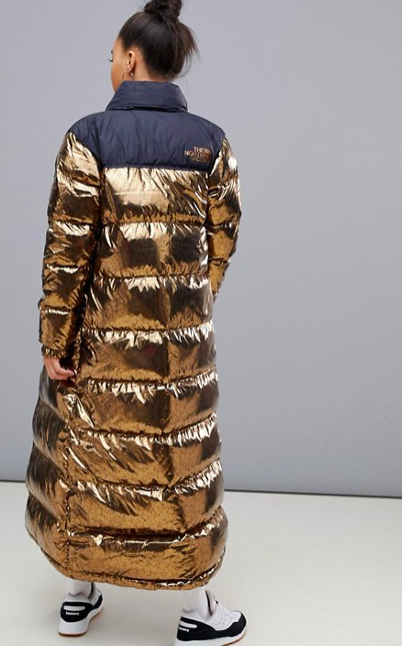 Me, getting ready for winter. 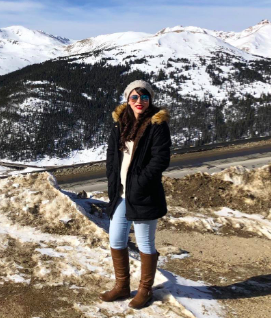 Prep yourself for this year's wintery weather with products from the posts below!